In the wake of the hurricanes that rampaged recently through Puerto Rico, rescues and shelters rose to meet the overwhelming number of homeless pets by working out transports from the Islands to state side with rescues and shelters willing and ready to take in dogs and even a few cats. 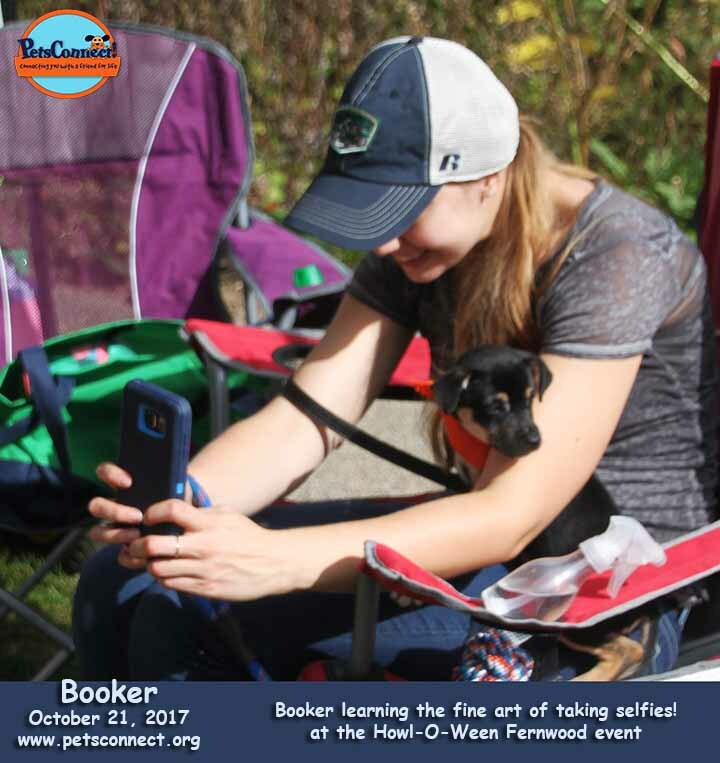 PetsConnect! 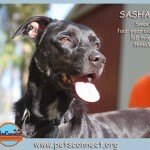 was one of those rescues and here is our story. Being a partner in the Emergency Placement Partner program which is part of the HSUS, Humane Society of the United States, we received an email asking if we could take in some dogs that were being flown in to Indianapolis very late on Monday night. 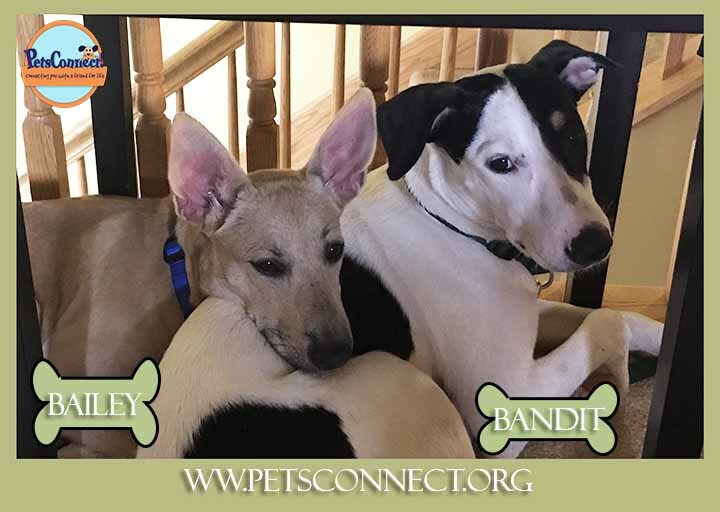 Three PetsConnect! volunteers left about dinner time and drove to Indianapolis. The plans flying in from Puerto Rico were having problems getting off the ground due to weather pushing the time of dog arrival even later. Close to midnight the plan arrived. Volunteers had drove their cars out on the tarmac and the headlights offered more light. All the dogs and puppies were in crates. Crate after crate came off the plane until in the end just over 7o dogs were unloaded. 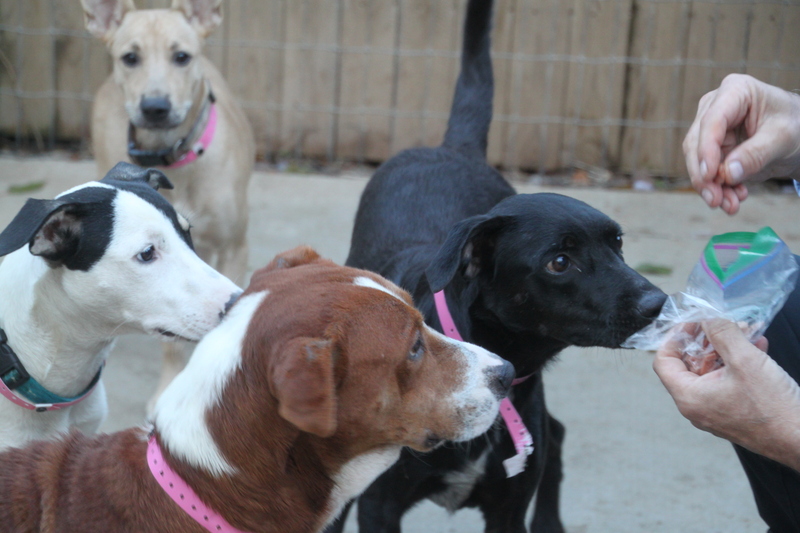 It was exciting to see so many dogs: some cute and fuzzy, some scared and huddling and some just curious. Some dogs came to the front of their crates to greet the volunteers while some hung to the back. Here is a video that our volunteer, Karrie, put together. It will give you a sense of what it was like to be on site. These dogs do not have owners looking for them as they are from a Humane Society in Vieques, PR. 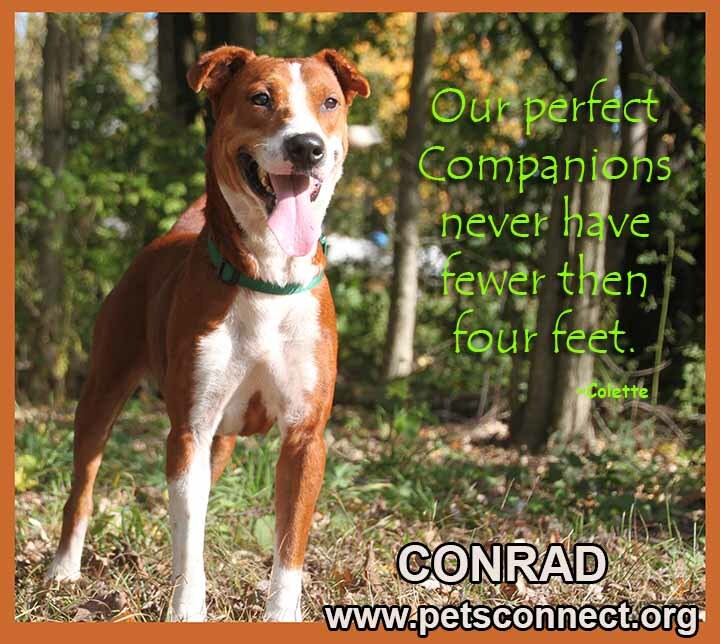 One of the dogs that came to us, Conrad, had been in the shelter for over a year and he had been treated for heartworms. He is negative now. This rescue was possible due to the efforts of All Sato Rescue (Sato is a common term for mixed-breed dogs on the island). 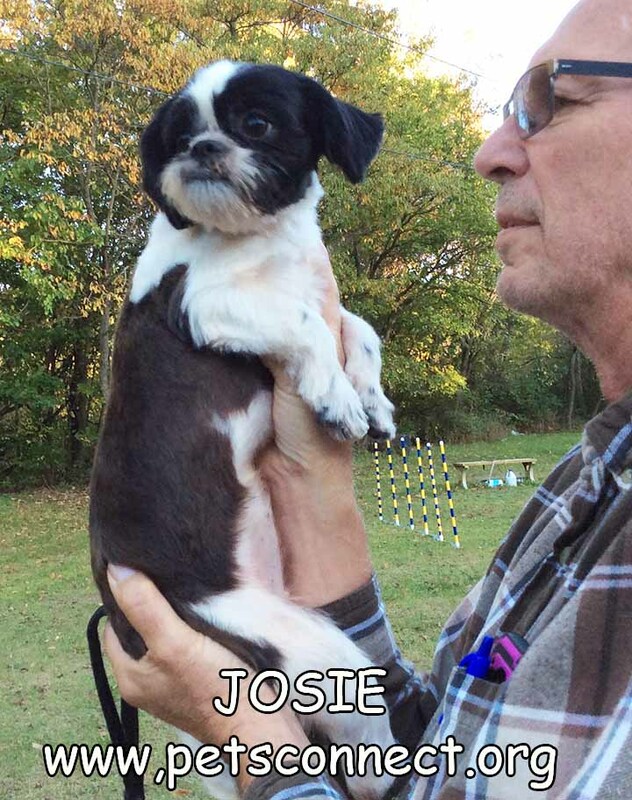 Each dog came with a health certificate per the law. It was quite interesting to see the paperwork and those who adopt any of these six will receive a copy of the health certificate. Our six dogs: Booker, Conrad, Josie, Sasha, Bailey and Bandit. 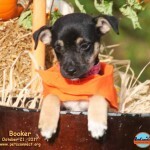 Booker is a two month old small breed terrier mix, maybe Chihuahua. 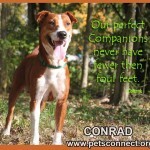 Conrad is a delightful red and white boy with a delightful temperament. His paperwork from the Island says he is a Beagle. At 50#, he is a big Beagle! So, let’s go for hound. 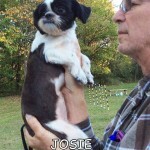 Josie is a sweet year old female Shih Tzu. 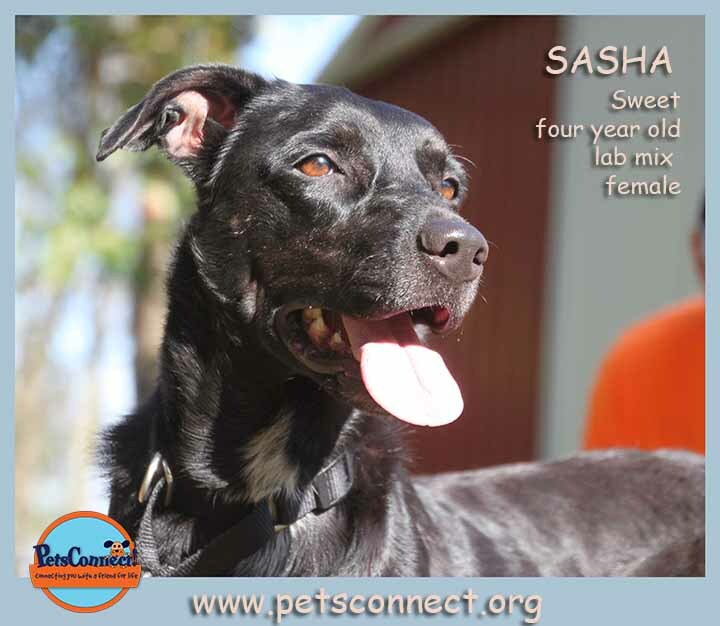 Sasha is a nice four year old black lab mix. We believe she was in a home as she is house trained and very well behaved. 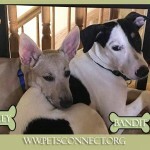 Bailey and Bandit came to us as Spuds and Poppy. We do not have a clue what breed mixes they are! They are listed as Sato mixes. I for one, was excited at this new breed only to find out it’s simply other word for mixed breed. They are siblings, eight months old and were pretty scared. 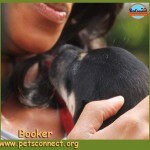 They are doing much better in their foster home. 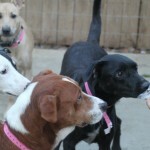 All these dogs are available for adoption. 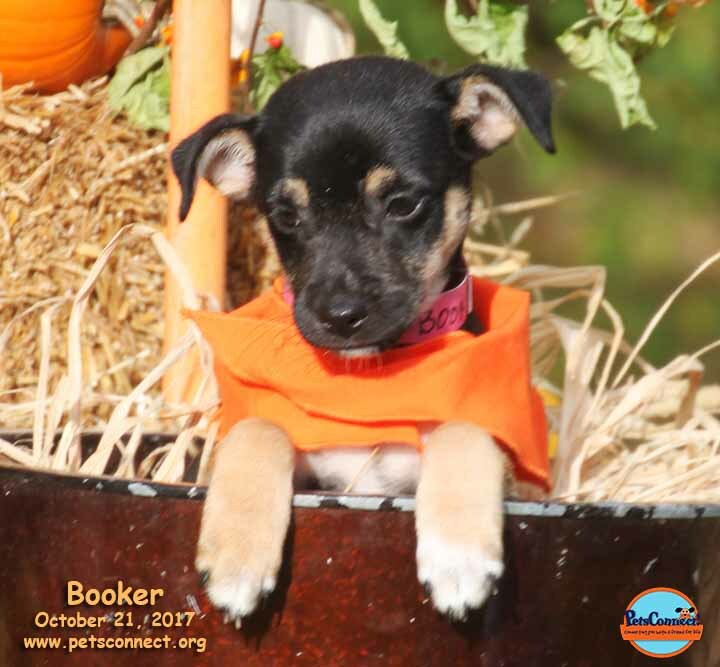 Email us at petsconnect@petsconnect.org for an application to adopt.